Here are some fun free things you can do to entertain your kids AND have fun at the same time! Get ready to make a mess—we will be posting short videos of our experiments online during the summer. Post yours and tag us! This fun take on the classic science-fair exploding volcano is a creative way for kids to get out all of that pent-up summer energy. In this experiment, we’ll add a bit more explosion to the mess…and what kid won’t love that? Be sure to do this experiment somewhere that can be cleaned up easily—or, even better, do the experiment outside where no cleanup is required! Read the instructions here. This is a great experiment to do indoors when it is too hot or rainy outside. It’s a simple activity that can be done with household items and will show kids how freezing water affects ice in an almost magical way. This project is an easy way to drum up some learning and fun this summer! Read the instructions here. What kid doesn’t love a big mess? This activity is a fun way to learn about chemical reactions while having a blast. This is a fairly simple experiment that requires just a few items and some adult supervision! If you happen to have a black light laying around it can be even more fun! Kids will see different eruptions depending on what colors and combinations are used. Making a Glowing Volcano could be a fun evening activity but will be just a beautiful in the daylight! Read the instructions here. This is a great activity, especially for the young ones! Building the bubble blower teaches kids about recycling and using household items to learn. This can lead to a whole afternoon of messy outdoor fun with the whole family. Add this experiment to a day of running through the sprinklers, and the kids will love it! Read the instructions here. While Pop Rocks are already loads of fun by themselves, this experiment will add in a little bit of science to go along with the fun! Adding the candy into soda shows kids how carbon dioxide causes the balloon to inflate. This activity is a fun way to explore science without making a big mess or needing too many supplies! Read the instructions here. Hands-on activities are some of the best ways to ignite an interest in science for all kids. This science experiment is stimulating and exciting for both parents and children! Lemon suds are not only a learning activity but also a sensory one, which is a wonderful way to get the little ones engaged. Parents will love this...at the end of the experiment, you’ll have an all-natural cleaner! Read the instructions here. The rock test is a way to explore the properties and hardness of different rocks. 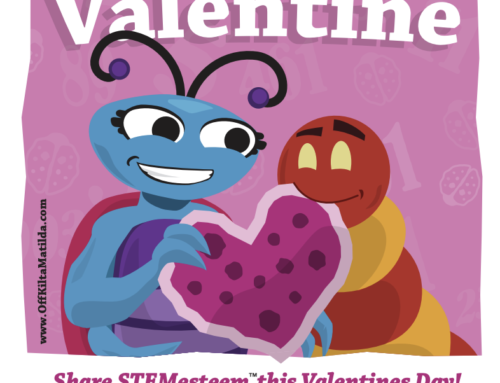 This project is a sure-fire way to get your kids thinking about all kinds of science. Sparking curiosity is the best way to keep children interested in science! Using rocks found around the neighborhood and some simple household items can lead to a whole day of learning and exploring! Read the instructions here. Who doesn’t love a nice beach day in the summertime? This project brings the beach home to your kids! You’ll see an ocean floor, water, sky, and clouds, all while learning about density. Density is a very interesting subject that most kids don’t know very much about, so this is a creative way to learn and explore. Read the instructions here. It can be hard for kids to differentiate between the three types of rocks, but this experiment will help kids learn. This is a very hands-on project, so kids will stay engaged and entertained the whole time! While this experiment does take some adult help, grown-ups and kids alike will have fun. Plus, the kids will have a nice sugary treat at the end of the activity! Read the instructions here. Creativity and science are brought together in this fun backyard activity. This project will get kids to think independently and explore their imagination! They can work on their problem-solving skills while they work towards a goal—keeping the egg intact! Kids will love using their toys and other items they find around the house to complete this challenge! Read the instructions here. Remember to follow us on the socials below for updates, new project ideas, and giveaways! Off Kilta Matilda™ and I hanging out and reading books at the park.